Statutory guidelines have been developed by the Department of Culture, Heritage and Gaeltacht to assist public bodies in preparing language schemes. Publish a notice seeking input from interested parties. Take note of the guidelines from the Department of Culture, Heritage and Gaeltacht. Ensure that a sufficient number of staff are able to provide services through Irish or bilingually. 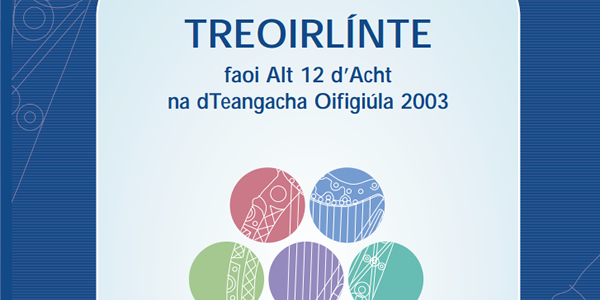 Ensure that the specific Irish language requirements concerning the provision of services in Gaeltacht areas will be met. Ensure that Irish will be the working language in its offices in Gaeltacht areas no later than the date the public body decides on with the consent of the Minister for Culture, Heritage and Gaeltacht. Within the time period specified in the notice that was published, prepare a draft scheme and present it to the Minister for Culture, Heritage and Gaeltacht for confirmation. The Department’s statutory guidelines can be downloaded here.